From the moment he first set foot on the Pacific coast, my son has loved the ocean. He was a year old when we first took him there, and even then he had a fascination with the sea that we’ve never quite been able to articulate. He just couldn’t take his eyes off of it. He’s a teenager now, and though we live close enough for day trips to the Boardwalk every now and then, he has always wanted more of the ocean: to see more, to learn more, to explore more. 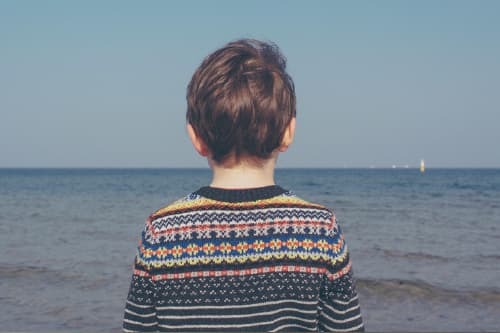 Over the years we’ve found a number of ways for him to cultivate that interest, but the most intensive (and his favorite by far) is his annual trip to a summer camp in Santa Cruz, where every year he focuses on marine biology and learns more about the ocean, the coastline that binds it, and what makes them both ebb and flow. If you asked my son to tell you the best thing about going to Santa Cruz for summer camp every year, he’d probably just say “the beach.” The truth, though, is that the immersive marine biology programming at camp has instilled in him a deep care for and commitment to the world and the people who live in it. Because summer camps on the coast integrate so many daily activities in and around the ocean, they give kids direct access to one of the most beautiful and little-understood ecosystems on the planet. That access can be eye-opening for kids who spend much of their time in classrooms and on smartphones—especially if they haven’t had much exposure to this habitat in the first place. Marine biology programs can leave a lasting impression on the way kids see the world around them. These programs give kids firsthand experience as stewards of the earth—in other words, they learn how to think critically about the ways we interact with the earth and take concrete steps to change those interactions for the better. The marine environment is a prime place to start learning about earth stewardship because this ecosystem is so delicate and imperiled. Exploring the ocean’s beautiful but fragile environment—through both adventure and scientific learning—helps kids develop a greater understanding of the systems that sustain the earth and the interdependent relationship between those systems and human life. Furthermore, these programs encourage kids to deepen their understanding of earth stewardship by cultivating their interest in marine and coastal conservation. Human activity often disturbs the habitats of the plants and animals that flourish in coastal climates, and learning more about those flora and fauna teaches kids what they can do to help protect and maintain marine and coastal biodiversity. On a kayaking trip, kids meet with otters who come right up to the kayak. Then, they see first hand how water flows from smaller creeks to bigger creeks to the ocean itself and the harm that garbage and other deposits can cause to the wildlife downstream. These up-close experiences inspire awareness of California’s sustained drought and concern for water conservation. Ultimately, marine biology programs encourage kids to engage directly with the ecosystems around them, and that engagement deepens when they learn real ways to protect and preserve these habitats. Some local nonprofits, such as the Point Lobos Foundation, partner directly with state agencies to support the management and upkeep of state parks and reserves. Through them, campers can volunteer in a variety of ways. As an example, they might volunteer to maintain the trails that run throughout the park (poor trail maintenance increases the likelihood of off-trail sightseeing, which can damage sensitive habitats and increase erosion). Specialized marine camp programs provide a multitude of intensive, hands-on learning experiences on beaches, coastlines, and in the ocean, which bring the subject to life for kids who do most of their learning in classrooms. Campers ride buses from camp just miles to the Monterey bay, one of the most diverse and varied underwater habitats in the world. Through activities like snorkeling, tidepool exploration, kayak trips, and stand-up paddleboarding, marine exploration activities turn the coastline into a classroom—a particular advantage for kids who connect with a kinesthetic learning style. Researchers suggest that kids often “learn better [and] perform better in class and on quizzes the next day” when they “physically experience difficult science concepts.” Marine exploration programs offer kids the chance to have fun and get dirty in a way that is memorable and full of direct insight. This focused exploration brings kids up close and personal with wildlife that can be seen only beneath the waves, and that perspective opens up a whole new world of ecological knowledge. In tidepools, kids meet starfish, sea anemones, crabs, and barnacles, and they learn about how these resilient creatures survive rough and changing conditions. Kids might be completing worksheets or engaging in a scavenger hunt, but, most importantly, they’re playing and experiencing the natural environment directly. They often come away from these experiences with a newfound sense of curiosity and awe for the world around them; it can be a powerful motivator in wanting to learn more about how to protect it. Now that my son is a teenager, we’re starting to make plans for his future, and camp has made a huge impact on that process. Every year, camp in Santa Cruz empowers him to explore what it would be like to pursue marine biology as a career, and it allows him to do that in a supported camp environment, alongside a group of peers with the same developing interests. There are a number of researchers who argue that working with peers profoundly deepens the learning they experience together; for example, it can “bolster their self-esteem, awaken their interest in challenging tasks, [and] enhance scholarly achievement.” For me, the proof is my son’s renewed excitement about the things he has seen and done and learned at camp and his earnest desire to pursue them further. That’s enough for me. Kennolyn Camps offer an immersive summer camp experience to kids of all ages and with diverse interests. If you think your child would thrive in a camp program designed around marine exploration, connect with us today—we’re more than happy to answer any questions you may have about life at camp and can’t wait to meet your camper!